INTERLOCK MAINTAINANCE | Three Lions Inc.
Weeds push and spread interlocks apart allowing water to enter the joints, washing underneath foundation material which leads to sinkage when walked or driven on. 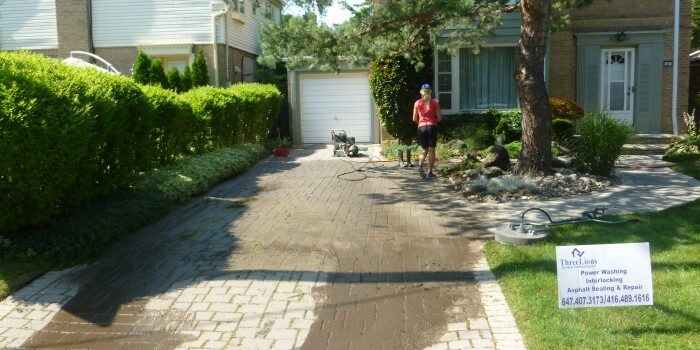 The solution is to de-weed using high pressure water with corrects nozzle and hand pick roots. 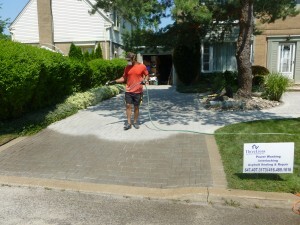 Sand fill polymeric sand consisting of adhesives which is later activated through a 3 stage misting process. 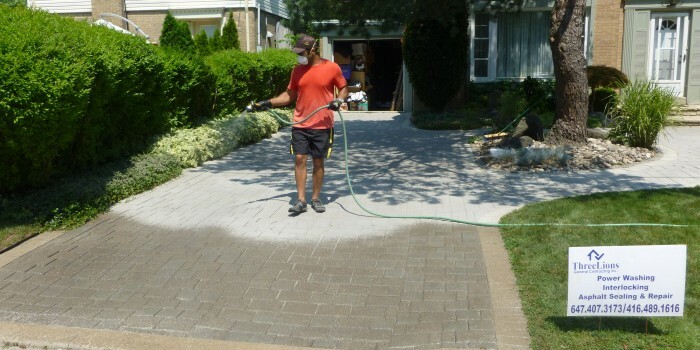 Polymeric Sand is a dry mixture of calibrated sand, polymers, binders and dedicated controlling agents technically designed to bind together in horizontal pavement joints. 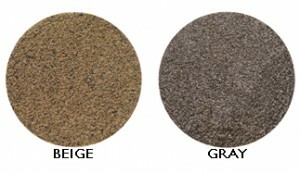 Its high polymer content and its unique composition will generate optimum results. 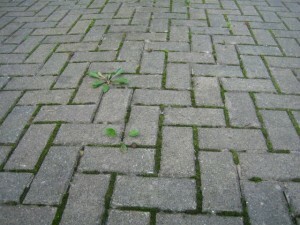 It will resist most weather conditions such as freezing, thawing, rain and wind. 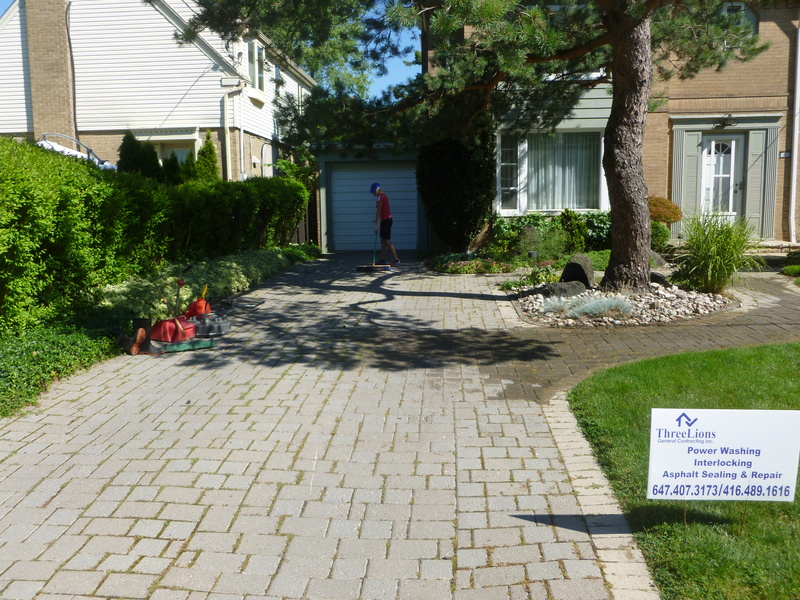 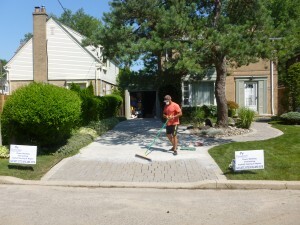 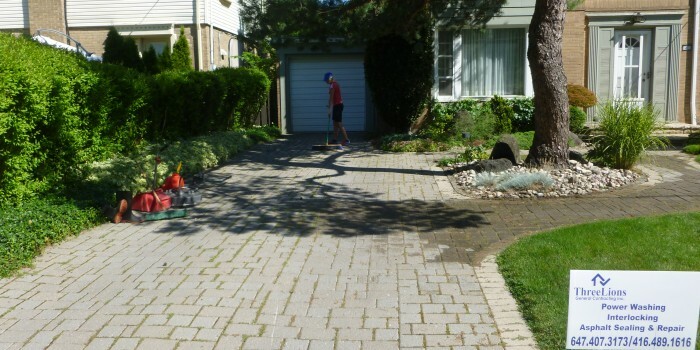 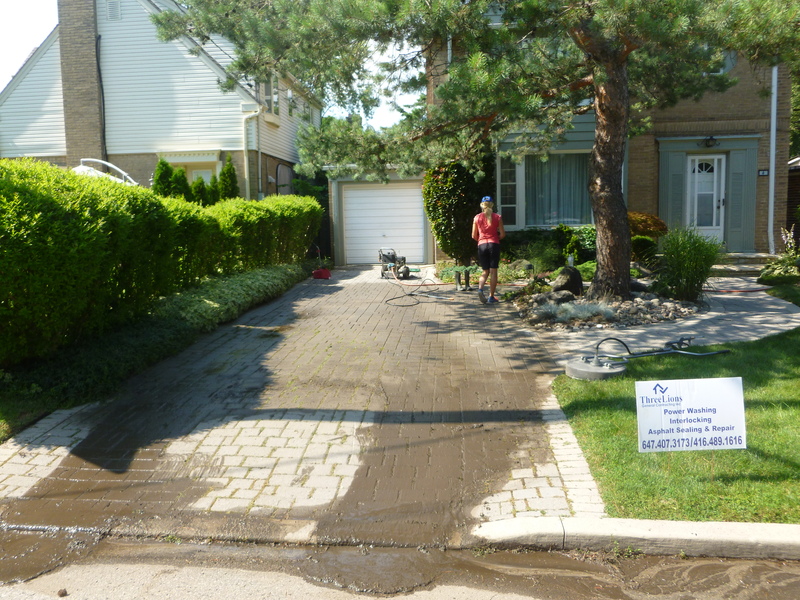 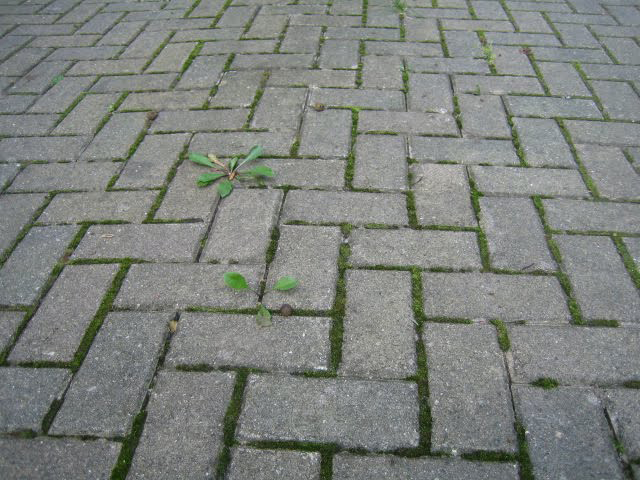 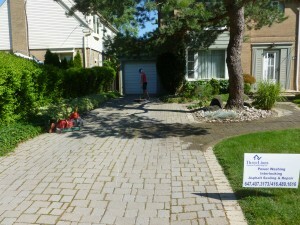 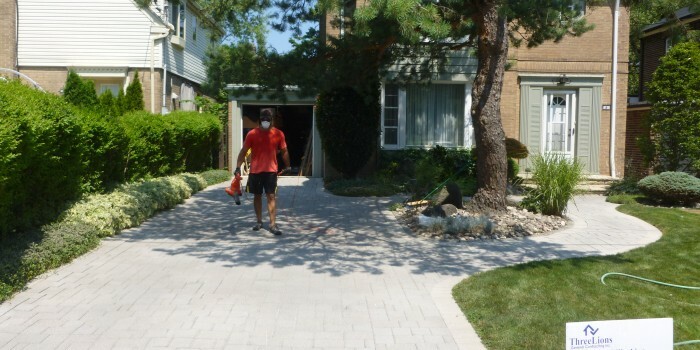 De-weeding is a 2-day process, depending on the size of the driveway. The final product resembles a clean driveway that is properly sealed. 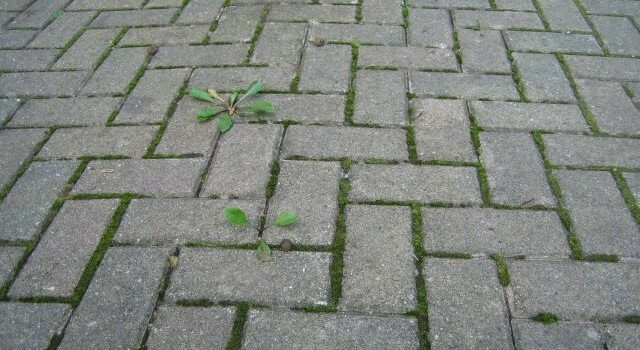 Please note that the above procedures don’t eliminate the weeds 100%, but help the situation considerably. 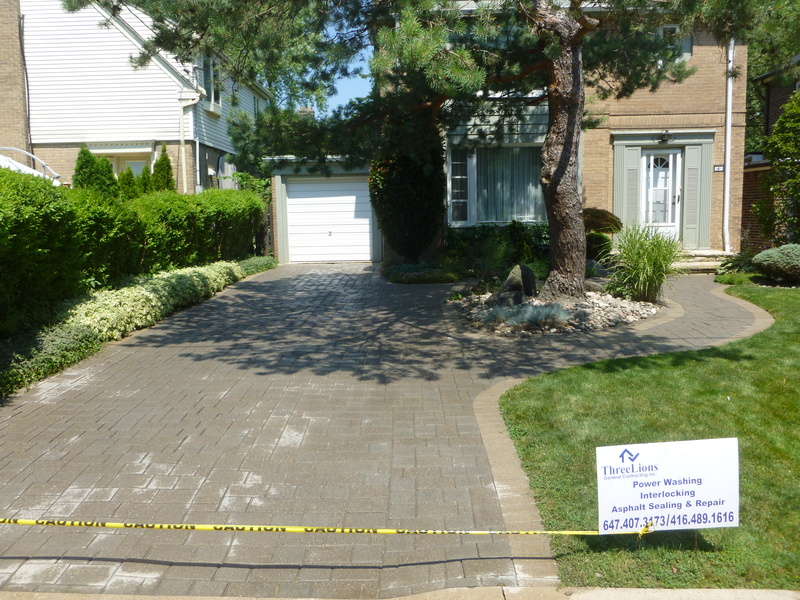 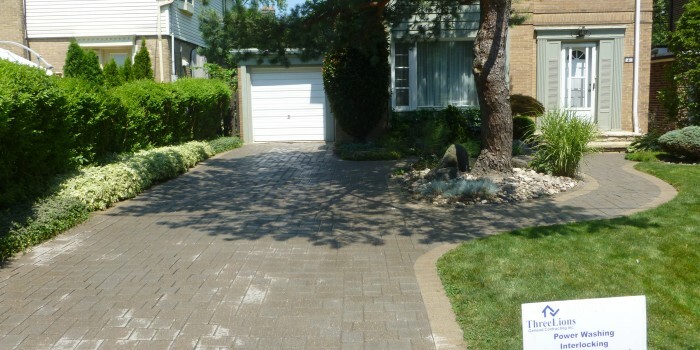 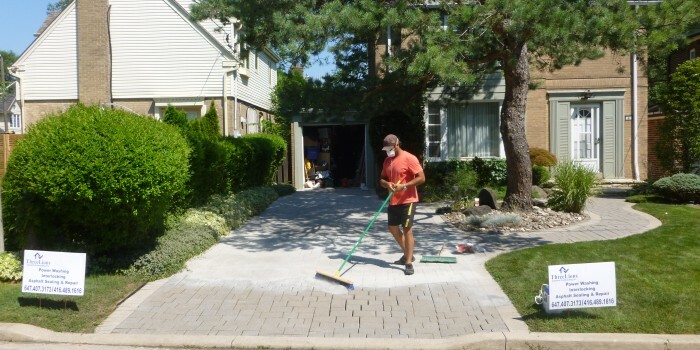 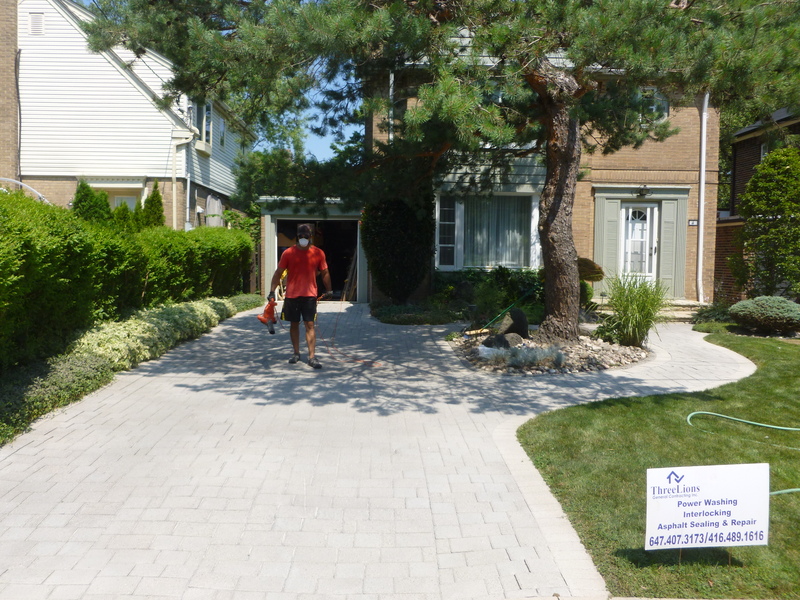 Besides the cosmetic aspects, this procedure prolongs the life-span of interlock pavers, ensuring that all joints are sealed and stones are stable. Please ask for our monthly services after the initial procedure is done to control weed growth.